HomeExertion Games LabHonourable Mention from CHI for Sebastiaan’s skateboarding work! Honourable Mention from CHI for Sebastiaan’s skateboarding work! 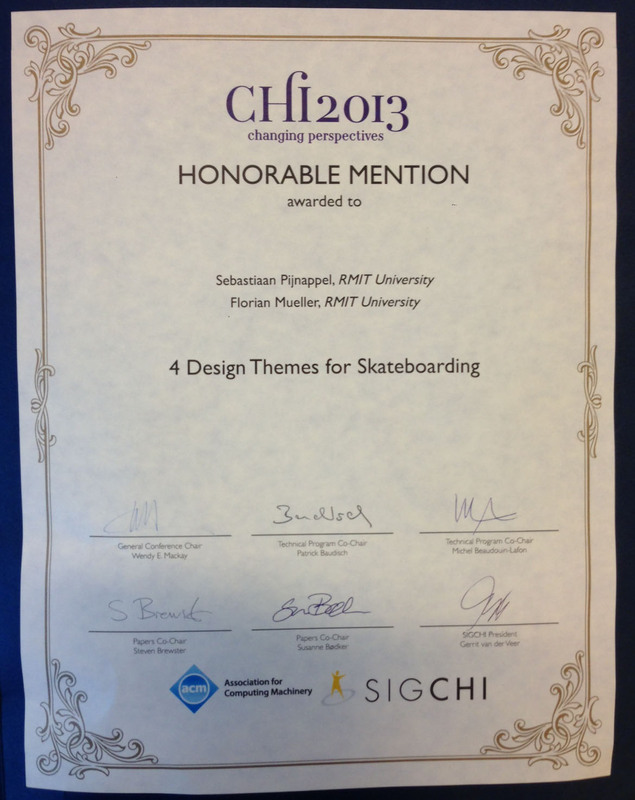 Sebastiaan received an Honourable Mention from CHI 2013 for his skateboarding work, which celebrates that his “4 Design Themes for Skateboarding” is in the top 5% of all submissions at the premier conference in human-computer interaction worldwide. Congratulations!